So after a week in the Monterey area, it was time to say goodbye to my airbnb hosts Sara, Shaun and little Jade (and the cats) and set on the road south. I learnt a huge amount from all the people I met there, with lots of thoughts in my mind as I navigated the beautiful but windy Big Sur coastline. And after a pitstop in San Luis Obispo, I made it to my second stopover - Santa Barbara! I could get used to this place. The long stretches of beach, the wineries and breweries of State Street and Funktown, the Goldilocks perfect climate for September. SoCal baby! After a comfortable night’s sleep, I took myself off on the main whale watching trip to the Channel Islands, thanks to Condor Express. 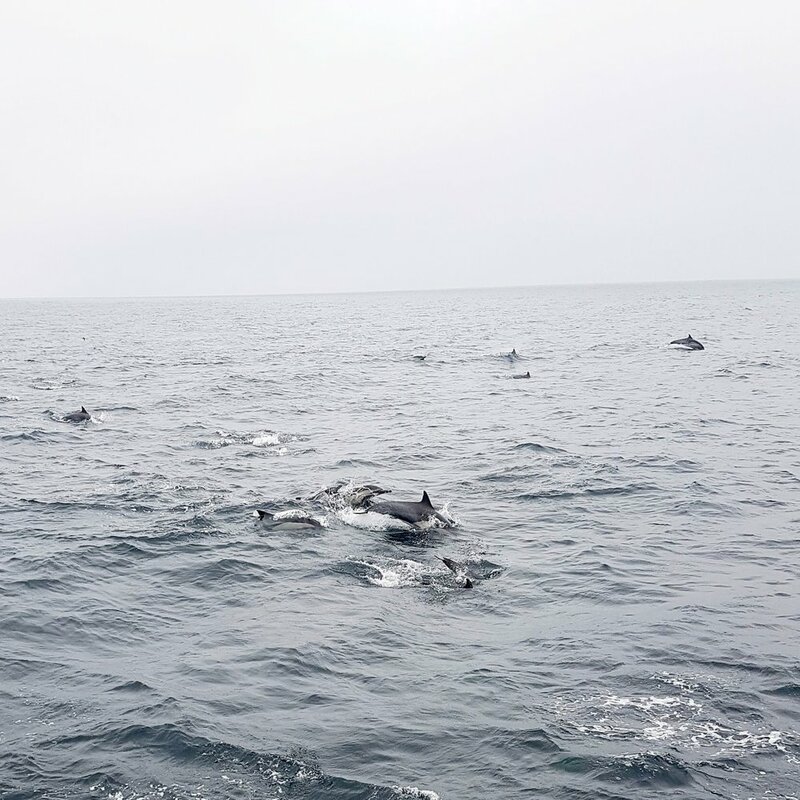 This was a prelude to talking about the Islands further in the coming days and diving Anacapa Island on Thursday, but for now I wanted to get a sense of how responsible the tourism in and around the MPAs was. The Channel Islands are another Jewel in the Crown for California’s MPAs. In fact so much so that bits of it are protected both by Federal law in the form of a National Marine Sanctuary (NMS) since 1980 and by federal marine reserves/conservation areas, and by State law in the form of State Marine Reserves (SMRs) and conservation areas identified in the MPA redesign process . Truly it’s a patchwork of protection! Effectively, the state reserves came after the federal protections, and largely expanded them into the inshore areas, if that makes sense (I must find out what practical difference this means in terms of management). 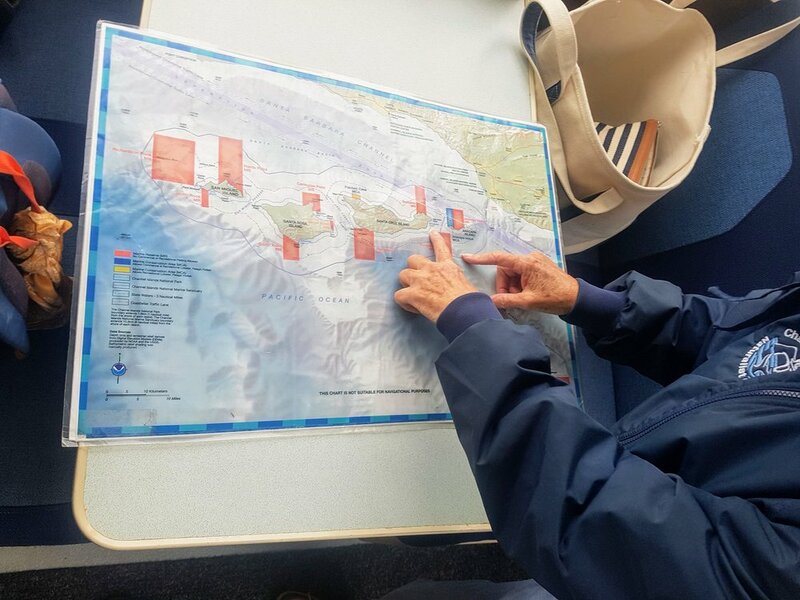 It was a chilly and choppy start as we headed off, but I was immediately impressed by the fact that the briefing by one of the volunteers (Linda) at the beginning explicitly mentioned the MPAs and why they exist. After introducing myself afterwards, Linda was so excited that I knew about MPAs that she showed me the map above in real form (apparently that map doesn’t come out very often). 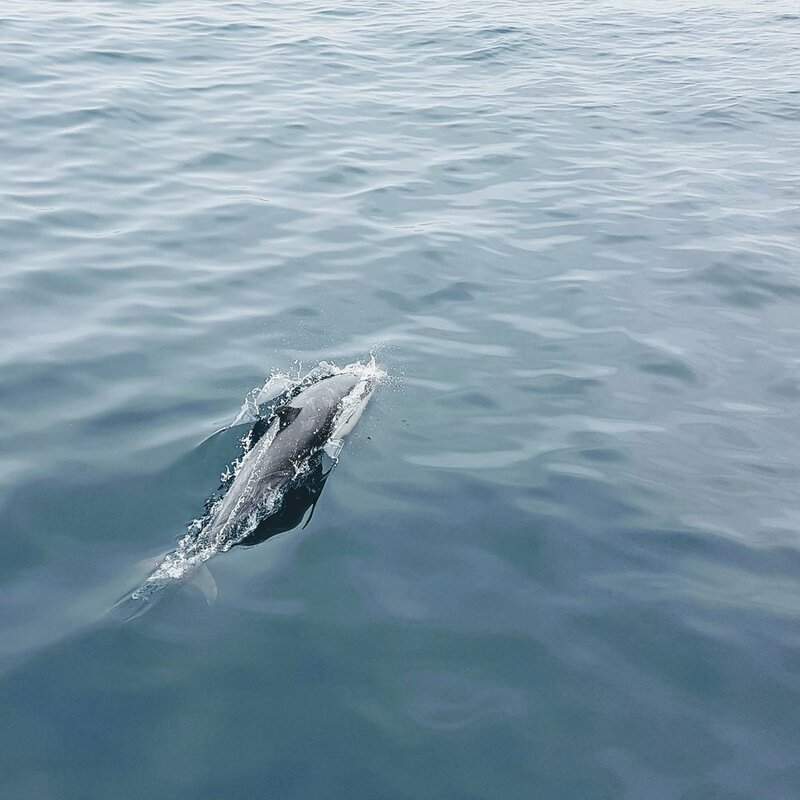 Although the trip was not hugely successful in terms of finding whales, we did have some nice sightings of common dolphin and a juvenile humpback who saved the day at the end, by which point several of the guests were in various states of seasickness. But at all times, the Condor stayed a respectful distance and were fantastic guides. One to recommend to my friend Becca Walker who has just completed a WCMT fellowship on marine mammal watching which is well worth a read. All in all, a good first day, with more to come. Hope you’re enjoying these blogs and photos, do let me know if you have any questions or comments.